This is the best part of this site. 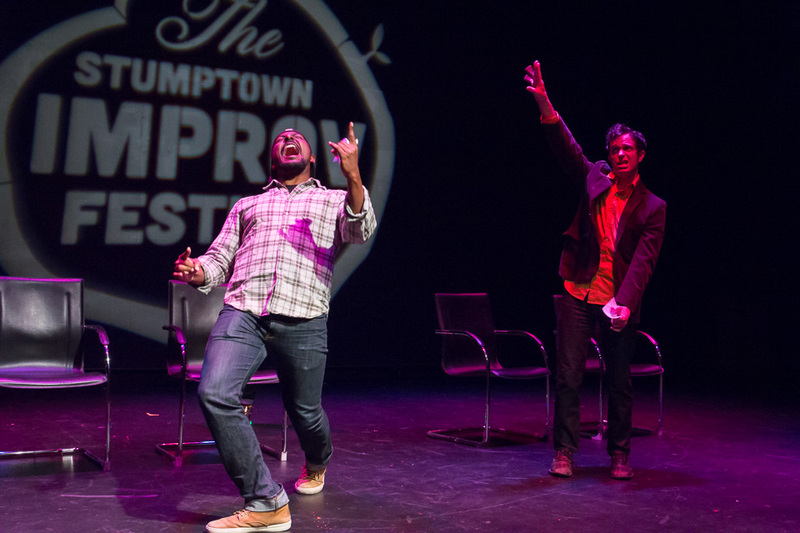 I'm the Executive Producer and Co-Founder of the Stumptown Improv Festival. It's a three-day improv comedy festival here in Portland, OR, that features only the finest local, regional, national, and international comedy groups on the scene. In our first five years, we've doubled attendance and sales and have created the heaviest gift bags on the festival circuit. It happens every summer and is the definition of "magical". And it couldn't happen without my fellow founders, Erin Jean O'Regan and Leon Anderson.